Lp released in 1961. This album was originally issued on United Artists' Ultra Audio series. 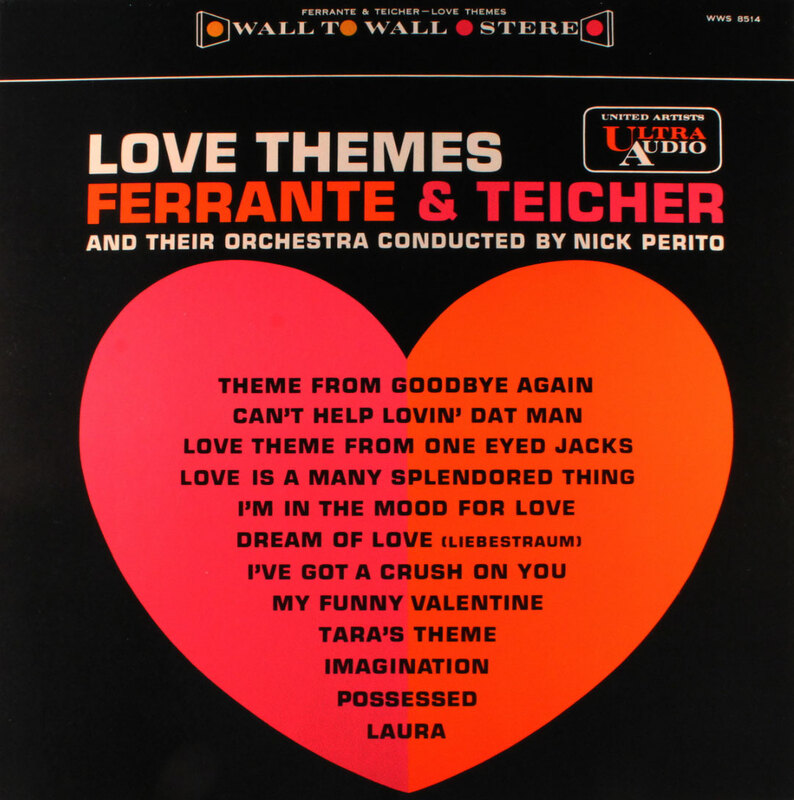 "Tara's Theme" was subsequently reissued on Ferrante & Teicher Play The Hit Themes. Ferrante and Teicher, perhaps more than any other contemporary stars, are destined to walk hand-in-hand with the great Sound of the Sixties through musical history, for theirs is the true wedding of magnificent talent with a musical form so excitingly fresh and new it approaches compete perfection. Add to this potent combination the great love songs of the period, and the results are almost beyond belief. This is music which has been designed for just one purpose, the complete listening pleasure of those who hear it. That it succeeds completely in this design is unquestioned. The piano wizardry of Ferrante and Teicher, the lush orchestral backgrounds, and the full, rich Sound of the end product will, like the very rarest of wines, grow even more desirably with the passage of time. "This album is a re-release. it has been re-packaged to conform with the brilliant "New Look" of the United Artists Records product. It has been engineered to produce the Ultimate in Recorded Sound."